There has been countless accounts regarding the friend-zone; hurt and angry individuals cursing it, but it does not exist to begin with. The friend-zone, a self-entitled concept, may have caused multiple incidents of people but heartbreak, but its existence is questionable. 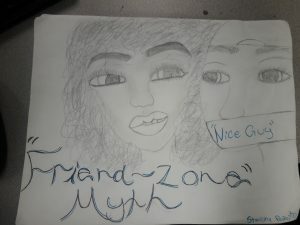 CSUSB students expressed their thoughts and beleiftswhether they believe the notorious “friend-zone” is true, or just another urban legend. Fellow Coyote, Chris Toppler* (pseudonym) shared his stance regarding the friend-zone. “It’s not real. Either she likes you or she don’t—and vice versa—it becomes problematic when the person that likes the other gets persistent and makes the person uncomfortable[…],” said Toppler. “I believe the friend-zone is real because it’s the level of the platonic nature you have in a relationship with someone,” said student Kyleigh Kirkland. The friend-zone, described by Connections.Mic, was defined as mostly used by men to describe a failure to romantically attract someone with whom they happen to be friends with. Or in other words, attempting to shame someone, usually women, for expressing disinterest in a romantic relationship. Both Toppler and Kirkland are on the opposite spectrum when it comes to assessing whether or not the friend-zone is real or imagined, and furthermore if the idea is problematic or not. Toppler believes that continuing to pursue someone despite their disinterest is an issue. It is the entitled mindset of those who feel they are “owed” a relationship due to someone displaying care. Elliot Rodgers, was* a 22 year old who went on a killing-spree due to constant rejection from women he believed he faced, before taking his own life. In this case, it is an extreme outcome of when problematic issues remain unchecked. He went after men as well; complaining about their luck with women. Rejection can be embarrassing, but shaming someone for expressing disinterest in a relationship is highly problematic. Instead of bombarding someone with affection and trying to convince your crush to be into you it is best to use that energy with finding a suitable partner.